An Apple event wouldn’t be much fun without some software updates, and the company had them in spades on Wednesday: Apple showed off new features for GarageBand, iMovie, and the iWork productivity suite, all of which complement the newly announced iPad. 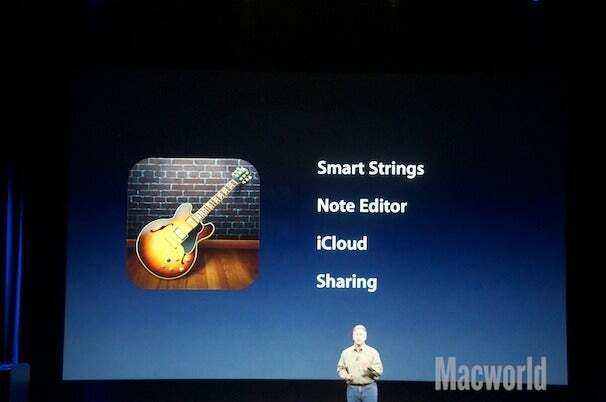 GarageBand received several new features, including Smart Strings (your own automatic string orchestra), a Note Editor for fine-tuning your recordings, support for iCloud song syncing, and expanded sharing options (SoundCloud). Additionally, users can now jam wirelessly with their iOS-using friends using Jam Session. Connect up to four iOS devices over Wi-Fi or Bluetooth and play; Jam Session will synchronize the tempo, key, and chords automatically. 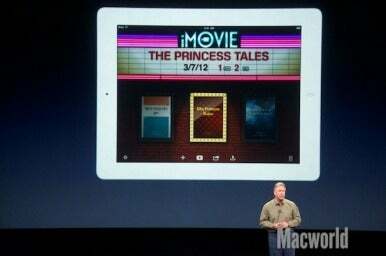 iMovie for iOS now sports Movie Trailers, a new feature carried over from iMovie ’11 on the Mac. Users can choose from nine templates (including genres like Fairy Tale, Superhero, and Romance), fill out a quick intro, and arrange clips within a storyboard. You can also sample soundtracks created especially for the app by Academy Award-winning composers (Hans Zimmer is highlighted in Apple’s own press release) and played by the London Symphony Orchestra. Films can be saved in 1080p and streamed via AirPlay to an Apple TV or shared to YouTube, Vimeo, and Facebook. On the productivity front, Apple’s iWork suite now features Retina-quality graphics and new 3D bar, line, area, and pie charts. On the iPhone, users can now edit a Pages file in landscape mode, while users of Keynote can take advantage of new transitions (Iris, Shimmer, Wipe, Flame, Swing, and Fade Through Color). All updates should be available Wednesday for free from the App Store. If you don’t already own these apps, they can be purchaed separately. 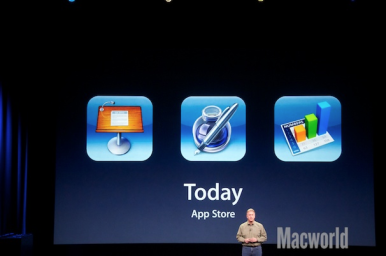 GarageBand is $5 and available for the iPad, iPhone 3GS or later, and third-generation iPod touch or later. iMovie is also $5 and available for the iPad 2 or later, the fourth-generation iPod touch or later, and the iPhone 4 or later. Each iWork app is $10 and available for the iPad, iPhone 3GS or later, and third-generation iPod touch or later.